The classic stuffed peppers are always smelled good and it attracted me. This inexpensive stuffed green pepper recipe can be made with very simple ingredients. Any meat of your choice and tomatoes and a little bit of seasoning and its done. This delicious recipe is good for health and very easy inexpensive to make. It’s the best recipe for busy people because it is not a time-consuming recipe. 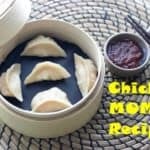 Must say a great recipe for Kids too. Even the recipe is good For those people who are doing KETOGENIC DITE. because this recipe is full of proteins and nutrition. Though this recipe is a classic, everyone has its own version to make this recipe. How Can You make this classic stuffed green pepper recipe At Home? You can make this delicious great tasting recipe with a meat of your choice; like pork, chicken, turkey or beef. This dish has a vegetarian version which also tastes great. Some other day will share the veg version of this dish sure. I used ground chicken, but Ground turkey also goes well and or the beef. Want to get a healthier version of meat stuffed green pepper recipe?? Then my suggestion would be to use chicken meat. 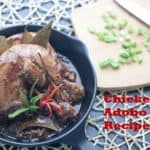 I know if you prepare this recipe in my way then any meats are fairly going well but if you want to make lighten the dish, just use chicken only. Make these stuffed green peppers with any rice of your choice. If you want to get the healthier recipe like I do then, I would prefer brown rice. But if you want to get the tastiest version of the dish always uses white long grain rice or in other words use pre-cooked starch strained fluffy Rice. My recommendation is to always select a perfect green pepper To make this dish. It means buy big and well-shaped peppers from markets. Because if you pick the wrong the dish will not look good at all. You must use Even button any peepers of your choice. Large or big Round shapes of the peppers and with 3 or 4 bottom feet are most preferable for this stuffed dish. Use big Red tomatoes and tomato ketchup as I used. Combine of both will give the dish an awesome flavour believe me. I will recommend you to always use Skin free tomatoes means peeled raw tomatoes. Peeled tomatoes are always good for health. Because the human body can ‘t digest the tomato peels. And if you use the peeled tomatoes in your dish then your tomato sauce will be so smooth. Used only dry parsley and oregano as herbs in my dish to add some flavour. I just used nothing as a seasoning used only just a little bit of little black pepper and salt that’s it. I saw many times fresh parsley and oregano don’t taste good with green peppers. So from my past experience, I got a lesson If I want to make the dish tasty won’t use fresh herbs in the sauce with green peppers. I used commonly used dry herbs in Italian recipes which gives an Italian taste to this dish. But If you like Mexican flavour would suggest using store bottled dry Mexican herbs for seasoning to give the dish a Mexican touch. Mexican flavour with the green peppers also goes well. THIS DISH HAS SO MANY DIFFERENT NAMES IN SO MANY COUNTRIES like in Spain its a Traditional dish Name “Pimientos Rellenos “,In Mexico they called the dish “ChileRelleno“, In India, this dish is well known as “Bharvan Capsicum /Bharva Hari Mirch”, In Gulf countries and Africa this dish is known as ” Filfil Mahshi”, “Dolma or Tolma”.In so many Europe countries called this same dish as “Yemista/Gemista“. Maybe all the names are different and countries are different but more or less stuffing ingredients of the dish are the same. What is the best process to make tasty stuffed peppers? If you don’t want to get a bitter taste from the cooked stuffed green Peppers (ANY COLOURS PEPPER)!! 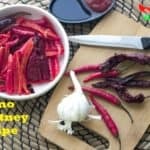 I would recommend you to cut the peppers from the top and must remove the seeds and blanch them as well in hot boiling water for at least 2 minutes with a little salt and must place them in Ice water after Blanching process is done to keep the bright green colour. Then only the peppers will be soft and tasty. After stuffing the peppers with the ground/minced meat and rice, I always prefer to bake all the green peppers add great taste to it. When you try to bake the peppers suggest using a muffin pan. Because the peppers always fit exactly into the holes of the muffin pan/tray and won’t fall over when it’s cooking on the microwave. Ice-cream scooper is the best tool for stuffing the meant means inside the green peppers without any mess. Put a scoop of stuffing in the middle of the peppers and then little press the stuffing in the peppers to spread the stuffing evenly into the peppers and it looks good. I am sure your hands will be cleaned during this process. You can add cheese to the dish to get more flavours. But I personally don’t like cheese on stuffed peppers so I didn’t use. But if you like cheese you can add it to the dish. I don’t suggest you bake all the peppers in preheated oven for a long time. If you are using any cheese on the top of the peppers, then put peppers to 160 Degree preheated oven for 10 to 15 minutes only and not more than that or just to melt the cheese. If you like the crust on the Peppers you can add breadcrumbs from the top of the peppers over the cheese. And then bake it. Why Am I Love To make this healthy Stuffed Green Pepper Recipe in my Kitchen? The most unlikely vegetable by the kids is Green peppers or capsicum. So this dish is the easiest way to feed them green peppers. And This dish is easy and quick to make. Once my 6-year-old kid tried this dish first time, He just falls in love with its taste. 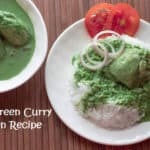 Today I am showing only the recipe with green pepper or capsicum. Many times I also use colourfull peppers with the same meat stuffing as well. So you can do the same if you don’t like green peppers or Capsicum. 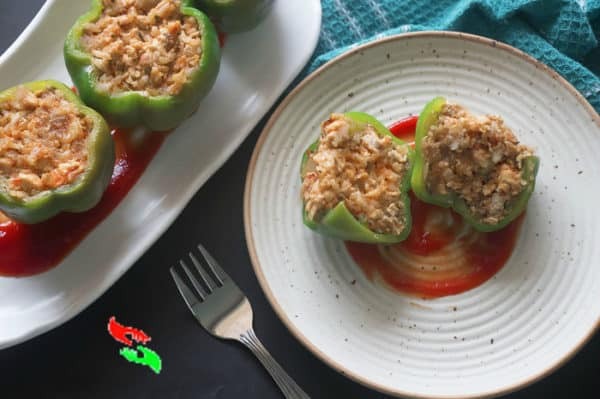 I AM SURE IF YOU MAKE THE STUFFED GREEN PEPPER RECIPE WITH THE HELP OF MY RECIPE YOUR KIDS WILL ALSO LIKE THE DSH AND WILL EAT MORE GREEN PEPPERS. If You have any Recipe Request.Or any suggestion Please let me know in the comment box. I will surely help you. 1/2 Tsp Sugar or as per your taste. 1 Tsp Salt Or salt as per your taste. 1 Tsp Dry parsley and oregano Mix You can use any dry or fresh herbs as per your choice. 1/2 Tsp Dry parsley and oregano Mix You can use any dry or fresh herbs as per your choice. Cut the tops of all the green peppers and remove all seeds. Clean well now Take a bowl and put 4 cups of chilled water in it. Take a cooking pot and boil 4 cups of water in It and now blanch all the green peppers in It. Only for 1-2 minutes and then very quickly remove all peppers to the chilled water. Just after then remove all the peppers from the chilled water to a dry clean bowl and remove all the excess water from all. Now take a frying pan put oil in it and make the oil heat enough. Once the oil heat put chopped onions into it and fry for 3 to 5 minutes over the medium heat or until the onions become soft and translucent in colour.do not brown the chopped onions. After 3-5 minutes put chopped garlic and ground chicken into it and fry for few 6 minutes and then add tomato puree to the pan and mix well with all the chicken. Now add salt, ground black peppers and soy sauce into the pan mix well and cover the pan with a lid for 10-12 minutes over the low to medium heat. But stir the mixture in between every 5 minutes so that sauce and chicken will not stick to the bottom. Then after 10-12 minutes when the all juices off tomatoes are reduced simply add cooked rice and mix well with ground chicken and sauces. Now add dry herbs to the pan. Mix well and remove the Frying pan from the flame. Make the stuffing cool enough then put the required amount of stuffing into the Green peppers with the help of an Ice cream scooper. Oce all the peppers are stuffed with chicken stuffing put them into a muffin tray whole carefully and backed them for 10 minutes to a 160-180 degree preheated oven. When 10 Minutes done remove them from hot oven to reduce the temperature. Take a another frying pan put 1 tsp butter into it.oce the butter hot put chopped garlic into it.fry the garlics for 2-3 minutes over the midum heat and then very quickly add tomato pure salt and pepper and dry herbs to it.mix well. and cook for 6-10 minutes. After 10 minutes remove the sauce to a blender jar and blend with help of some hot or warm water to smoothen the sauce texture. Now you can serve all the peppers over the sauce as I did.or you can pure the sauce from the top of the stuffed green peppers and then serve that's up to you as you want to serve the dish. ENJOY the dish with your family.